My recent trip to India was filled with stories and lessons that all unfolded when I was “in the flow” instead of having the illusion I was in control. It was easier since I knew that 2 1/2 in weeks in India would include many things, but no control whatsoever. 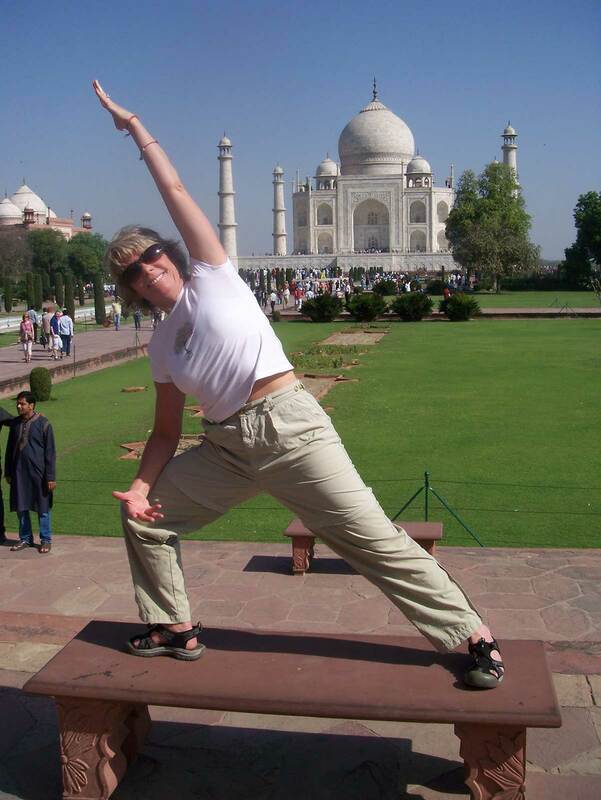 Why is the Taj Mahal one of the 7 Wonders of the World? Granted, it is quite an architectural feat, this monstrosity built on sand, but going through the structure itself was hot and crowded–so crowded I had my first and only brush (on my breast by a non-Hindu man) of serious sexism and blatant abuse of females in an otherwise fabulous country. In fact, Agra, the city where the Taj Mahal is located in India, was my least-favorite city, of the dozen we visited for the many forms of prejudice I experienced. But after making a quick escape from the Taj itself, I quickly headed for the green and cool of the gardens along one side. This often-ignored aspect of the grounds not only helped me cool off in multiple ways, but I gratefully watched a parrot fly over a hibiscus plant as it snatched a flower and flew off with it in its beak. Now *that* was exciting to see!